Discussion in 'Tournament Dates & Information' started by John D. Ward, Aug 31, 2018. 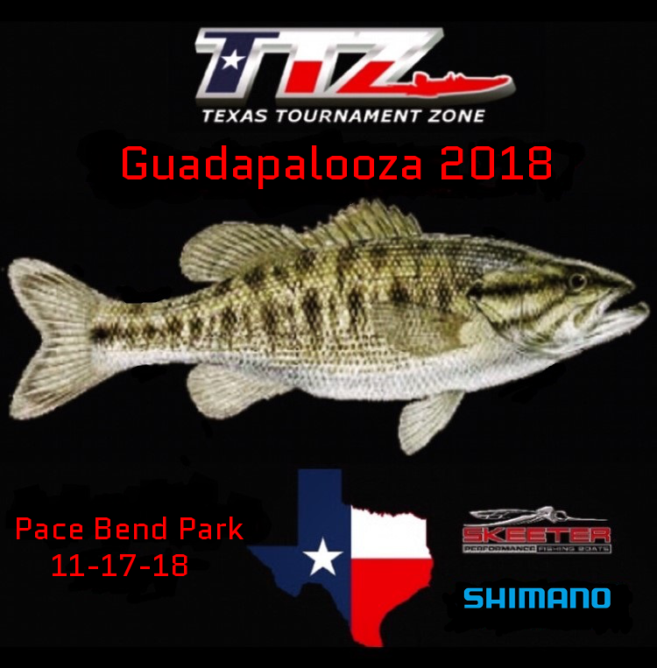 11/17/18 World Championship of Guadalupe Bass.....GUADAPOOLZA 2018!!!!! OPEN TO EVERYONE, no membership required. 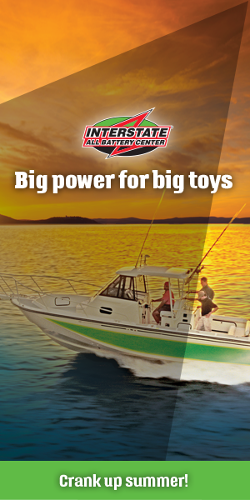 $60 entry includes a $10 side pot for biggest largemouth. Main pot pays three places to the best five guadalupe bass bags. Fish team or solo, but must follow all state laws. Tournament Hours: Release at First Safe Light Saturday morning, Check in at 1pm. Registration and check in will be at Tournament Point in Pace Bend Park. All boats will be given a boat number at registration, boats can launch from any ramp but must be present for livewell checks as their boat number is called for release Saturday morning. After weigh-in we will give out the money and get to cooking up the fish, so stick around for one of the best lake side shore lunches you can have! In this scenario if you had fished a Tuesday Night event this year and you won Big Bass you would get both pots for $1,340. There are no minimum weight restrictions on these payouts, biggest fish wins, no 7 pound minimum. If the person with Big Bass had not fished a Tuesday event then they would win the $650, and whoever was qualified from the Tuesday events with the biggest bass would get the $690. We will need volunteers to cook, bring fryers, and volunteers to clean fish (this year I will bring plenty of fish cleaning juice). We will need sides like fries, hush puppies, coleslaw, or whatever you might want to bring to a fish fry. But mostly importantly we will need oil for the fryers and oil for fryers. Put me down for firewood for the night before and the fry oil. Just let me know how much oil you need. I'll bring it. John D. Ward likes this. You got the world famous sauces covered again this year? Wouldn't be the same without Chuck's cocktail and tartar! I will be there! Size Large on the shirt. Planning to camp on Friday night and can help clean fish on Saturday for a little while. 1 Small and 1 Large t-shirt please for Shea and Terrence Eason. Looks like the improved spots are all taken that weekend. Does anyone know of other options up on that end? Are you flying in on the chopper? I haven't been to Pace Bend before. What ramp will I be looking for? Are we doing the sign-up the night before like in 2016? Sorry no shirts this year, your boy is busier than a hive of bees up here in the big city. But, I can't wait to get back to Texas and enjoy a couple days back in God's country. Please let's get the sign up going below for anybody helping out! THANKS AND SEE YALL SOON!!!!!! *ponders if life is really worth living without a 2018 Guadapalooza shirt in my future. No shirts or decals? What are my kids supposed to get for Christmas. We will be there with oil and cookies. Yes, cookies. You can laugh until you are eating them before and after the fish fry. They will hit the spot. NjTexan and John D. Ward like this. What is the preferred oil? Peanut Oil, I think Academy has it on sale in those 3 gallon jugs for around $21. If we don't use it then you can take it home and fry a turkey. I’m bringing lots of big metal pans, serving spoons, paper towels, cole slaw, big jug of fish fry seasoning (will be plenty, trust me), seasoning salt, and a money bag with $690 rollover pot!!!! As well as some cold beverages.